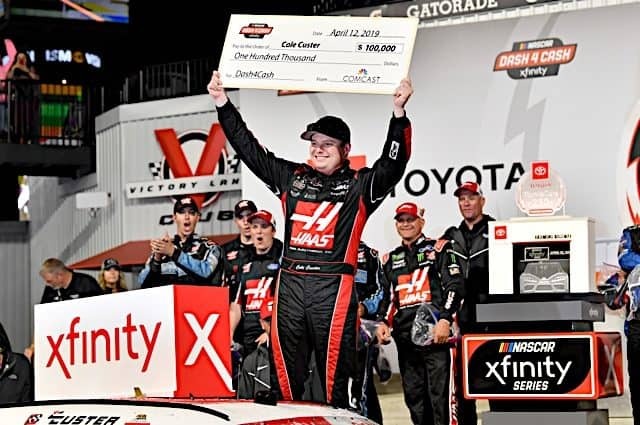 Cole Custer has shown speed throughout the 2019 season, including edging out Kyle Busch at Auto Club Speedway. On Friday (April 12), the No. 00 showed that same speed throughout the entirety of the ToyotaCare 250, leading a race-high 122 laps en route to the victory at Richmond Raceway. After starting from fourth due to qualifying getting rained out, Custer jumped to the lead early on. As the first stage continued, both Justin Allgaier and Christopher Bell got by, moving the No. 00 back to third, earning eight stage points. The majority of the second stage belonged to Allgaier. But with 23 laps remaining, a caution flew for Jeremy Clements blowing an engine. The No. 7 team stayed out while most of the field pitted. When the green flag flew, Custer rocketed to the lead, winning the stage. Once Custer got clean air, the No. 00 checked out. With a rash of late-race cautions, he had to pass Austin Cindric for the victory with just under 20 laps to go and didn’t look back en route to his second victory of the young season. Cindric finished second, as Allgaier, Tyler Reddick and Ryan Sieg rounded out the top five. On Thursday (April 11), Cole Custer bought a townhouse in Charlotte. With the win in the Xfinity race, he will be able to save up and pay for a good chunk of it, as the No. 00 team won an additional $100,000 because of the Dash 4 Cash. Custer is off to a career start. 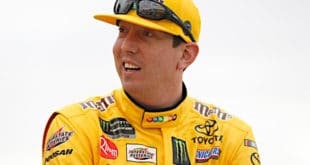 The California native has as many wins in the first eight races this season as he did in the opening 71 races of his Xfinity career, including his first on a short track. For years, the question was whether Custer could turn all of his potential into race wins. In the Gander Outdoors Truck Series, he became the youngest winner at 16 years old, winning the fall 2014 race at New Hampshire Motor Speedway for JR Motorsports. In 2015, he backed that performance up by winning at Gateway Motorsports Park. But remember, both of those wins were while he was running a partial schedule because he had yet to reach the age of 18. 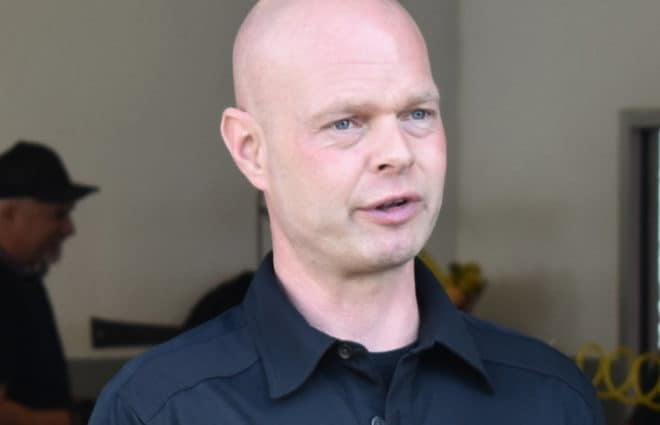 Once he turned the legal age to run a full NASCAR season, he was average, not winning in 2016, though he showed passion by tackling John Hunter Nemechek at Canadian Tire Motorsports Park after Nemechek put him in the wall on the final lap for the win. Fast forward to 2017 when Custer made the jump to the Xfinity Series with Stewart-Haas Racing and ran subpar most of the season. The No. 00 had just seven top-five finishes and 12 additional top 10s. 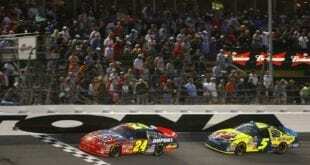 He did, however, dominate the final race of the season at Homestead-Miami Speedway, leading 180 of 200 laps. 2018 was set to be Custer’s coming out party. And in a way it was. With an additional year of experience under his belt, the No. 00 doubled its top five total to 14 while posting 26 top-10 finishes and winning six poles. However, it took until the fall race at Texas Motor Speedway to grab a checkered flag to qualify for a shot at the championship at Homestead. Based on 2017, Custer was the favorite for Homestead. He lived up to those expectations in the first two stages, but once Reddick began to rim ride, the No. 00 had nothing for Reddick. Ultimately, Custer finished second in the race and the championship. Now, eight races into 2019 and Custer is arguably the driver to beat. Sure, Bell is going to do typical Bell things and probably win the most races, but Custer has stepped up as a driver this season. Come a warm, sunny fall night in South Beach, don’t be surprised if this California driver is your 2019 Xfinity Series champion. 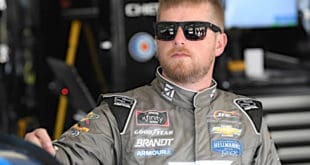 The first two months of the 2019 season have been none-too-pleasant for Justin Allgaier. But Richmond was a step in the right direction for the No. 7 team, though it failed to capitalize on a race winning car. When the green flag dropped, Allgaier shot to the top three from this seventh starting position. He eventually passed Bell for the lead, and with a late caution in the opening stage, the No. 7 grabbed the stage victory, his third in the past two weeks. The second stage was dominated by Allgaier until a lap 127 caution for Clements. While most of the front runners pitted, the No. 7 stayed out from the lead. On the restart, Allgaier was a sitting duck, dropping to fourth before another caution came out. During the yellow flag, he meant to drop down to pit road, but missed the commitment line, meaning for the second restart in a row he’d have old tires. This restart didn’t go well. In four laps Allgaier dropped from fourth to 14th, before pitting during the final stage. When stage three began, the No. 7 rocketed from 16th to eighth in one lap, gaining four more positions in the next three laps. “Great job, boys. Great job,” says @J_Allgaier. Over the final 90 laps, the No. 7 remained in the top five, settling for third, his third top-five finish of 2019. Ironically enough, he doesn’t believe the pit call to stay out late in stage two played a factor in not winning the race. “I thought we were not as good at the end in the rubber,” Allgaier said. “Once the track got really rubbered in, I didn’t think we were as good as we were in the second stage. It’s been feast or famine so far in 2019 for Allgaier. He has four top-10 finishes, with a pair of finishes of 30th or worse. In the last two races, he’s led 224 laps. 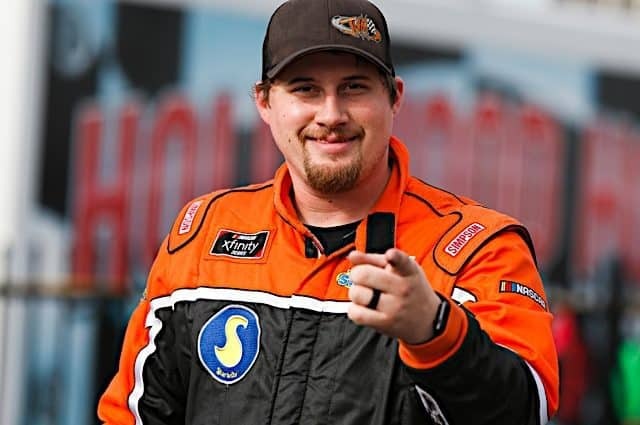 Brandon Jones started off 2019 white hot, posting a pair of top fives and four top-10 finishes in the opening five races of the season. In the race Jones didn’t finish in the top 10, he had a top-five run going until Custer wrecked him with a few laps remaining. Since then, the No. 19 team has put together a string of rough finishes. At Texas, Custer got loose underneath Jones, turning the No. 19 Toyota into the outside wall. Jones’ race came to an end 67 laps short in 33rd. Last week at Bristol Motor Speedway, Jones showed flashes of speed, but ultimately finished 14th. At Richmond, he was once again average but blew an engine with 74 laps to go while running inside the top 10. After Daytona, Jones was the points leader. Following Richmond, he sits on the bubble in 12th. For the second Richmond race in a row, a debuting driver shined. Enter Dillon Bassett. Bassett, 22, has made the K&N Pro Series East his stomping grounds for the past four seasons, picking up a victory in 2015. 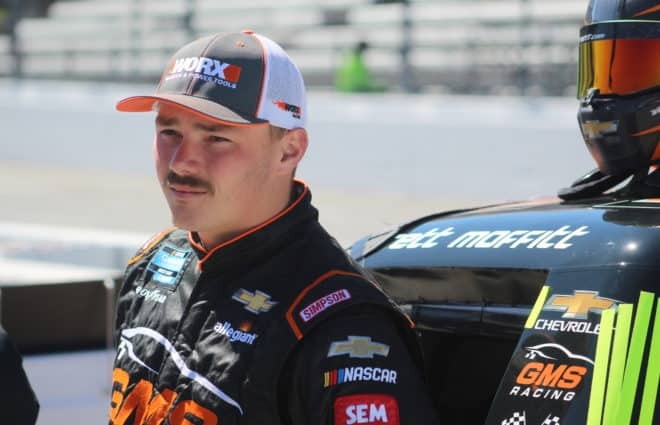 But for 2019, he and his brother Ronnie Bassett Jr. took their money to DGM Racing to run upward of 14-16 Xfinity races combined. On Friday, Bassett began the race from 32nd. The No. 90 quickly moved up the scoring pylon, finishing 18th in stage one. During the second stage, Bassett remained even keel and finished 19th. Over the course of the final 100 laps, Bassett remained in the teens, coming home 15th in his series debut. A few years back, Bassett started first for the Denny Hamlin Short Track Showdown racing Late Models and finished seventh. He had one other prior start at Richmond prior to the Xfinity race, finishing runner-up to Austin Hill in the penultimate race of the 2015 K&N season. But this won’t be the last time you see Bassett in the Xfinity Series this season, as his next scheduled race is either Dover in three weeks or Charlotte in a month-and-a-half. With Richmond being a Dash 4 Cash race, no drivers running for Cup Series points were eligible to race. Out of drivers pulling double duty, Ross Chastain led the way in 11th. Joey Gase, who will be competing the Cup race for MBM Motorsports, finished 23rd. 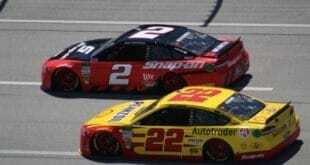 The next two races at Talladega Superspeedway and Dover International Speedway are also Dash 4 Cash races, meaning Cup drivers aren’t eligible to return to the Xfinity Series until Charlotte on Memorial Day Weekend. Overall, the Xfinity race at Richmond was rather interesting. Tire falloff was drastic, as it has been the past few years at the short track. 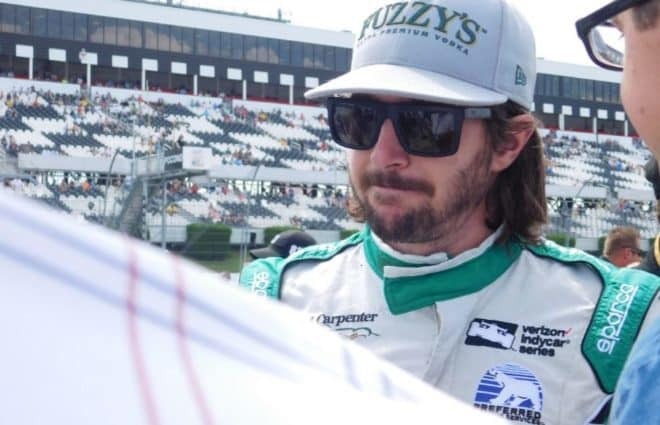 Custer seems to be a man on a mission in 2019, winning two of the first eight races. Currently, he’s third in points but has already led 227 laps this season, second of Xfinity regulars, only behind Bell. The Xfinity Series has an off week before heading to Talladega Superspeedway (April 27). Spencer Gallagher is the defending winner of the race, picking up his first and only NASCAR win. It will be the third consecutive Dash 4 Cash race and Custer, Cindric, Allgaier and Reddick will have a shot at $100,000.